Anders Ericsson, the Florida State University psychologist, whose research on expertise spawned the 10,000 hour rule of thumb said "You don't get benefits from mechanical repetition, but by adjusting your execution over and over to get closer to your goal." Makes good common sense, doesn't it ! ! 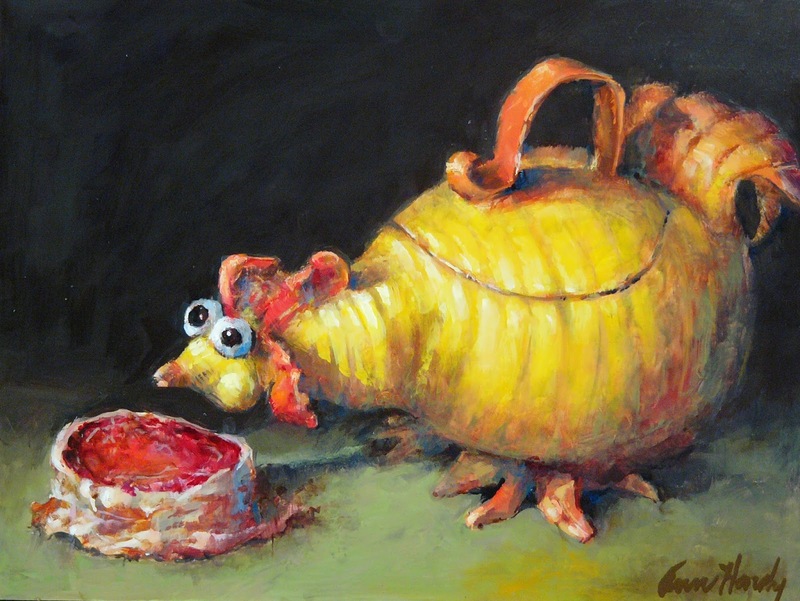 My Sister, Marty, gave me filet mignons for Christmas and I bought the chicken pot from one of my PAINT friends, Arlene. 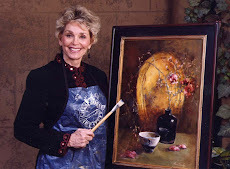 Of course, had to put the two together in a painting. CHICK FILET is the title. What Does a Peacemaker Look Like?